After spending three days in Georgia, my good friend and I had hiked from Amicalola Falls out to Hawk Mountain. Waking on our last day on the AT, we had viewed the sunrise cresting over the horizon with the intermittent sound of birds. This vision had seemed like something between Sauron’s flaming eye from movie Lord of the Rings or the appearance of the Good Witch from film Wild at Heart. In these moments in the sun, we had drank some water while enjoying our makeshift breakfast. With dwindling food supplies, we had discussed our options for the day. Part of both of us had wanted to stay longer on the AT; however, another part of us had yearned for a hot plate of Chicken Parmesan @ Oliver Garden. With the dawn just breaking, the later impulse had won out. The plan for the day had encompassed hiking 17 miles back to our vehicle at Amicalola Falls State Park. The physical challenge for the day was exceeding our personal best for traveling this terrain in one day, 8 miles. After packing up, we had walked back on the AT traveling at a reasonably good pace. With this tempo, we had predicted returning to Amicalola Falls by dusk. Returning to the top of Springer Mountain, we had eventually revisited the southern terminus for the AT. This time, clouds hadn’t obscured the mountains in the distance. This was a memorable sight for anyone living at sea level or Florida most of their lives. After another round of photo ops on Springer, we had moved back down the trail. What I hadn’t expected next, the grind of the last couple of miles with the setting sun. Along the way, a few issues had cropped up for us. For myself, water and carb loaded food had run in short supply for energy. For my buddy, there was the additional weight of his belongings and the number of declining slopes on his knees. Engaging the last 6 miles of a series of ridges, I had thought, “Just one more mountain.” Seeing another ascending trail after another, I had felt crestfallen. After a while, I had focused on traversing step after step on the ascents. Removing the emotional impact of any topology changes, the logic was to keep my motivation on the earth below my feet. In the last two miles to the end, my friend had took the lead hiking. At first, it was little demoralizing to switch roles. Though, the motivation for keeping up had beat back the accumulating exhaustion from my two concurrent trips to California and Georgia. In the end, this switching of horses had provided us with the necessary daylight on our way back to the top of Amicalola Falls. After taking another brief break above the Falls for the restroom, we had quickly navigated down the side of the mountain face. Returning to our vehicle finally, looking worn, we had smelled awful. One of the most gratifying parts of this arrival was turning the ignition on in the garnet 96’ Ford Explorer. After sleeping nights in the 20s and 30s F, the onset of heat blowing on our cold bodies was a cathartic experience. With the rumbling of the engine, we had drove out of the park turning right onto the darkened highway. We were searching for our destiny with Chicken Parmesan @ Oliver Garden in Gainesville, Georgia. After about 30 minutes, we were seated at an Olive Garden. Soon after, we had received some bread sticks with soup and salad. Savoring our food, we had pondered the day and the road ahead. This trip had meant different things to each of us. For myself, it was an expression of wanderlust, companionship, and physicality. The final taste of the Appalachian Trail was continuing to foster the idea to be truly wild at heart with adventure. Get to know Paul Shepherd and his competent team at Seminole Scuba in Lake Mary, Florida, whether getting certified or making a once in a lifetime trip like AFRICA 2014. 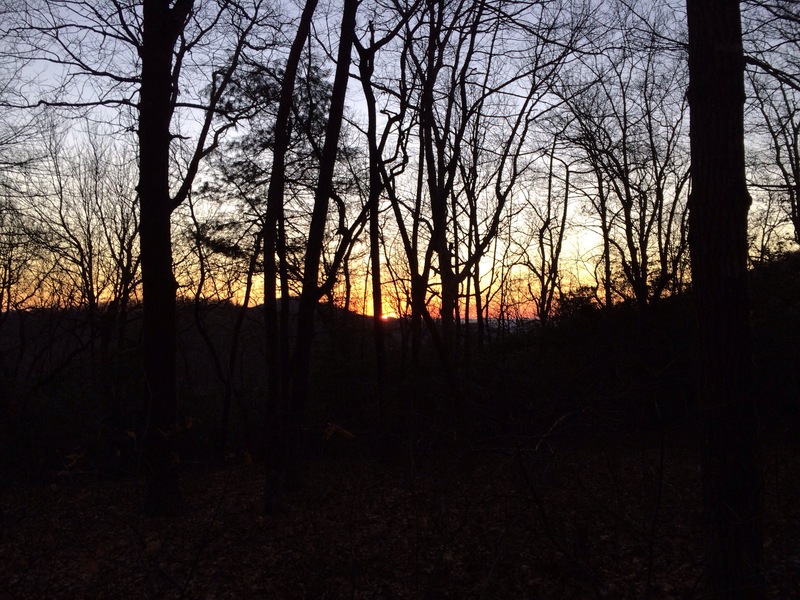 This entry was posted in Georgia, Travel and tagged A taste of the Appalachian Trail, Amicalola Falls, Amicalola Falls State Park, Hawk Mountain, Hiking, Spring Mountain, Wild at Heart. Bookmark the permalink.